Cynthia researches and writes about a variety of topics including travel, family, business, gardening, beauty, and health & wellness. What is Branding for Yourself? Branding yourself does not need to be some mysterious, mystical activity that takes years to master, because whether intentional or not, you make an impression each time you meet and interact with someone or someone observes you. This interaction can be face to face or it can be in cyberspace. Either way, as human beings, we continually receive information about our surroundings and those in it; we send cues and others are receive and react to those cues - positively or negatively. When you are deliberate about the way you would like for others to perceive you and to perceive your business, large or small, you are branding yourself. Entrepreneurial marketing is all about human relationship building and the way your products or services align with your potential customers. In short, entrepreneurial marketing is an important element of branding yourself, projecting the way you want your clients (or employer and coworkers) to view you. What image are you projecting when your clients view your business and you. 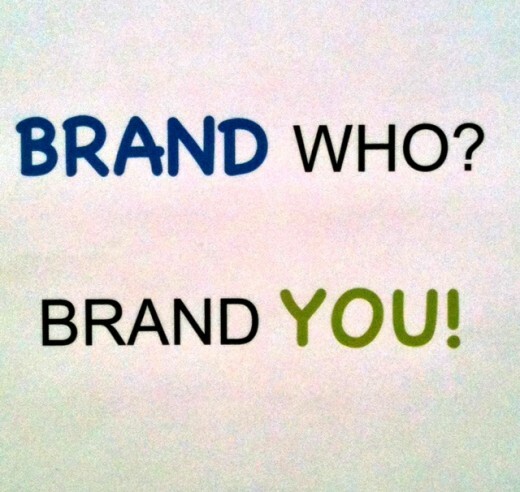 In other words, how are you branding yourself? A capable, positive image that will either further your business prospects or further your endeavors at work, form the components of your desirable brand. After all, very few willingly do business with someone who is slovenly and does not seem to be able to take care of themselves, let alone be responsible for executing a successful project. Image and branding are close kin to style. When we think of style, we think of the superficial - the clothes you wear, the way you decorate your home or the attitude you assume. When you consider your personal brand, the superficial has its place (think logo), but you go beyond the superficial and move into the realm of the core of who you are, what your values are. It is an amalgamation of the way you move through space and time - building trust, forming relationships, building your business. Do you think you have established a brand for yourself? Have you given any serious thought to what you project when someone meets you, when someone does business with you? Does your personal brand align with the brand you established for your business? Like it or not, you brand yourself all the time, if only by default. But having a brand by default is not preferable nor does it necessarily enhance or advance your business. You should take control of your personal brand. Celebrities realize the importance of a personal brand. They promote that brand (themselves) all the time. Are you and your business any less important? If you haven't firmly established your brand, there are a few elements that should consistently ring true when considering your image, your personal brand. Most of the elements are usually found within your principles and core means of operating. Look to your vision and your mission statement. Do they contain words like superior, timely, caring and other superlatives that point to you and your business as the one that will get the job done and be a cut above? The concepts should not be foreign to you and can go a long way in establishing you as someone others will repeatedly want to do business with and will recommend to their colleagues . A few of the attributes that you should incorporate into your brand are listed here. More than likely, you are already branding yourself and displaying many of these qualities. Keep in mind that branding yourself is just one aspect of your business and successful entrepreneurial marketing. Reliability. This is at the core of establishing your personal brand. Prospective customer want to know that if you commit to an action or deliverable, there will be results. You establish your credibility when you deliver. When speaking with prospective clients, they are trying to ascertain how reliable you are going to be. That is one reason they may want references - to check your reliability. Take action. Don't be known as an extra or a sideline dweller. They are rarely noticed as anyone other than place holders or fillers. Be in the mix; be known for taking action. Unless you are the cheerleader(and they take lots of action), get out on the field. Stand on your convictions. Don't be brash about your beliefs, but don't shy away from expressing them when it's appropriate. This is part of possessing integrity... and backbone. A word of caution, however, don't introduce or discuss religion or politics with your prospective clients. Rather, stand on your convictions when it comes to your expertise in business. If you know that the concept your client wants to adopt will fly in the face of all that you have learned over the years, be sure to let your client know. It may prevent a costly mistake and eliminate the risk of you taking the blame. You will inevitably hear "why didn't you tell me? You're supposed to be the expert!" Be timely. Arrive at your appointments 15 minutes early. One of my staff was known for being 15 minutes early. I appreciated that, since I could count on the meeting starting on time. Seeing my reactions, soon the rest of the staff wouldn't just be on time (or, in a few cases, late), they would arrive early. If the appointment is a phone conference, webinar or computer conference, be a few minutes early dialing in. Don't leave your prospective customer waiting. This is a demonstration of your respect for your colleague's or client's schedule. It also prevents you arriving at your appointment disheveled and harried, surefire image busters. Know your audience, client, or employer. For some, this is as natural as breathing. They are very good at picking up subtle cues. For the rest of us, it is a skill we must develop. Did your client arrive on time? Then they probably value timeliness. Were they neatly dressed or was their office neat and tidy? They probably value organization. You get the picture. Be observant. Once you know your client, convert that to putting them at ease. People like to work with those they feel comfortable with. "Deliver the goods," but don't oversell the goods. You've heard it before, be known for under promising and, subsequently, delivering the sun, moon and the stars. Don't just turn over the report, be early. Put the work in a binder, using the good paper and colorful tabs to separate the sections. Make an extra copy or two at no cost to your client. They will remember. Dress the part. You should develop your own signature style for your image and for your business. Make yourself/your business memorable. Dress is an easy way to show your style and be memorable. It should, however, fit your business. If you are an accountant, a more businesslike dress is appropriate, usually suit and tie at a formal meeting. Certainly not a muscle shirt and jeans. If you are a tattoo artist, why not dress in all one color, such as black, to represent a blank "canvass." Choose an item that will stand out. The former mayor of Atlanta wears a signature flower on her lapel. A huge flower - always. In the same city, a Councilwoman is never seen unless she is wearing a well tailored power suit and heels. (Never mind that she was very petite, hence the heels and was more than likely wearing an off the rack suit. She had them altered to fit as if they were tailor made.) Adopt a signature piece to your outfit. Do sweat the small stuff. Write thank you notes, always followup with a phone call to new individuals not just an email. Ask their permission before adding them to your subscription list. Send birthday cards to your friends, family and prospective clients. 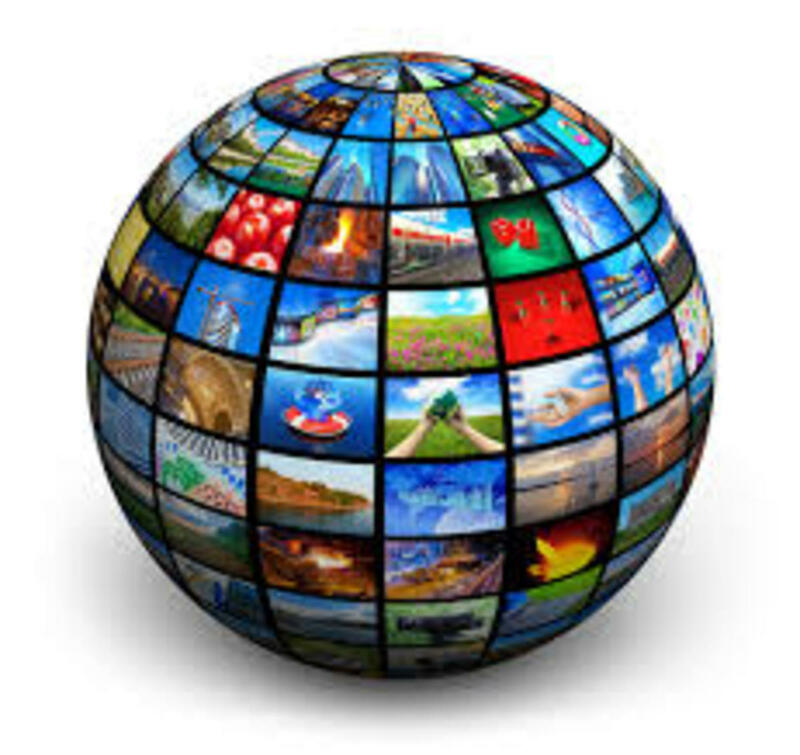 Find a way to keep in constant touch with prospective clients for reasons other than business. The internet gives a myriad of ways for that to happen. Explore them. You will be rewarded with a growing business. Most of all, be consistent. When you are consistent, people will trust that you can "deliver the goods." They will automatically think "She's done it before, she can do it again!" Don't be afraid to set yourself apart. Get noticed; this will help you grow your business or improve your status with your employer. You can be as subtle with your approaches as you feel you should be, but be deliberate as you include branding yourself as part of your entrepreneurial marketing strategy. It's as applicable to freelance writers who are earning their living with their words as it is to the tattoo artist with his paints and needle. It's applicable to the small business that is just starting out or one that is well into the tenth year. It applies to the CEO of the corporation and it applies to the receptionist at the front desk. Whoever you are, you make an impression wherever you go, in whatever you do. It's part of branding yourself, even though you may have only been unwittingly branding yourself up to this point. Make the impression you create count as part of your memorable, positive, personal brand. Writers, photographers, musicians and artists are often entrepreneurs who would like their work recognized and sold. Have you ever given any thought to branding yourself? No, but I will consider it now. Now that you've decided to become an entrepreneur or boost your career, is coaching or a coaching service and mentoring for your? What is business coaching? Vision Boards are tools to help you achieve your dreams. Are you working from home because you have a home based business, you provide freelance work or because your job now requires it? How fortunate for you. Writer and public speaker Napoleon Hill and his book Think and Grow Rich continues to influence entrepreneurs. When his principles are followed, today's entrepreneur has a guideline for the secret of success. Hello, It's so true. Few concepts are really new, but they get new labels. I didn't find out about Napoleon Hill until late. I wish I had discovered him much earlier. His principles are timeless. Thanks so much for taking the time to leave a comment. Take care. This is a great hub. Of course, back in the day, we didn't call it branding, but it was still all important. And I see one of your other hubs is about Naplolean Hill. I used to teach classes about him and his wisdom. He didn't use the word branding either. But here we are in a new decade with new labels yet the same principles that guide our entrepreneurial successes. The legality of a particular brand such as your logo should be considered as you incorporate your business in whatever form you choose. You should always consult someone in the legal field to assist you with that. When we speak of your brand "persona," or how people see you, that is controlled by you. With that, I'm speaking of people knowing that you are a perfectionist and your work will always be checked and double checked before you turn it over to a client., for example. Or you are known to be fair in whatever you do. Those are all a part of your personal brand. But again, always consult legal for trademark and logo issues. We are working on the logo aspect of a pepper sauce product that we have. Your observation is legitimate. Thanks you so much, Kevin for taking the time to read and to comment. Take care. Do you have any thoughts on protecting your brand once it's established? I've learned that the legal aspect of your empire can't be ignored. How should one go about legalizing their logo or trademarking it? Hello Maralexa, I'm glad you enjoyed this. Let me know if you decided on a signature piece as part of your brand. Take care. Your tips on branding yourself (myself) as a trusted entrepreneur are excellent. I truly appreciate the reminder of these very important attributes. I particularly liked your suggestion to find a signature piece of clothing, jewelry, or something that stands out and yet exudes class and style. Thanks Cyndi10. I really enjoyed this hub! Glad it was useful. Thanks so much for commenting. You are so right. A lot of small businesses overlook that important factor. Thanks for leaving a comment. Both of us gave a lot of thought to branding when Tricia set up her own business. Some of the key traits were obvious to us - punctuality, confidentiality, etc. We added a consistent look - both in personal appearance, but also in graphics. Small businesses are faced with big competition, and identity is important. Hi Robert, first, thank you so much for the tip about the link! I will go back and fix that. I very glad you took the time to read my article and comment so positively, especially since you are a fan of branding yourself. Branding is so important. It actually can be fun to tackle especially when viewed as part of your overall marketing strategy. Take care. Cyndi, I am a huge fan of branding yourself! This is a great article with some excellent tips. Your last tip is so important - be consistent. This ties into so many aspects of life. Thanks for sharing, voted up and shared. PS. You have several other articles that you have written at the bottom of this hub - you can create a link to those so that people can click on them rather than copy it into the top bar - this will help you get more readers! Hello, Thank you for your comment and for your votes. It's better, I think, to have some control over how you you are perceived. Good points you've brought up. Excellent hub about the positive aspect of branding and how it can promote a business. I agree that even if we don't consciously create a brand for ourselves, our actions, the way we relate to others and the things that we write and post online all contribute to the creation of a brand, so it's wise to examine those things if we haven't already done so. Hi Sandy, I'm so glad you had the opportunity to read this. Branding is overlooked by many in small business or solo entrepreneurs like writers. Your words are so true. Thanks for the comments. Very true words. Brand image is one of those prolific factors which express and communicate about an object as well as verbal communications do. If we talk about corporates, even a logo, a slogan or a character sketch can put much impact on a product's establishment among peoples as they start endorsing a particular brand by assuming only a logo or slogan as a part of it's brand image. Though, contributive part of that logo or slogan sets a brand image of itself. Well, thanks for sharing this full-fledged hub. Useful, voted up. Hello Sandra, I'm glad you found this useful and interesting enough to share. Thank you so much. I agree with you. Deciding your brand is important to consistent service and products and to expansion of your work. Interesting subject, Cyndi10. Thanks for SHARING. Really good stuff here. :) Thank you for a practical overview of branding oneself as an entrepreneur. This is an important topic for anyone wanting to expand their work. I appreciate the approval. You are right, we could apply much of this to other areas of our lives, as well. Thank you so much for votes and for sharing. This article is so informative and also very useful in many areas in our life. Somehow, I think about it more in my personal life and at my work but I know I should improve in this area when it comes to my online writing too. This is an excellent hub and thanks for writing it! Voted up, useful, interesting and shared! You are so right. If you don't believe it, they won't buy it. So glad you had the time to read and comment. Thank you. Very useful information. Being confident about what you are marketing is very important. If you don't believe in it no one else will. Hello Katrine, Thank you for taking the time to comment on the article. You are so right, no two people will ever be the same. You are unique and you bring special talents. It can be very healthy to let others know what those talents are so that you can be appreciated, and so that you can promote your wonderful writing talent. This is a great hub, packed with so much useful information for anyone to take. I think just like with the variety of products out there the same applies to us people. Branding to me is being 'myself', recognizing my own strength and abilities and making the best of all that I am capable of doing and achieving, to be able to stand out from the crowd in a way, for no 2 people can ever be the same. Thanks for writing it. I am happy to hear that you felt this was useful and was in line with information you got from the writers workshop. Thank you for reading and taking the time to leave a comment. I appreciate that. Excellent hub with useful and interesting information, Cyndi. Thanks for sharing. I attended a writers workshop two years ago and this was one of the topics discussed. It was the first time I had heard that term, but it makes perfect sense to establish a brand as a writer. Voted up and across. Hi Frank, It would have been nice for someone to clue me in when I was younger. It might apply to those that are "young" to starting their new "enterprise." Thanks for reading and I always appreciate the comments!